The two Pitt Street overpasses are located in Cornwall in the United Counties of Stormont, Dundas and Glengarry. One overpass carries eastbound traffic while the other carries westbound traffic. They were constructed in 1960 and rehabilitated in 1986. The overpasses are proposed to be replaced. WSP is completing the Detail Design for the replacements. Following Detail Design, the overpass replacements will proceed to construction. 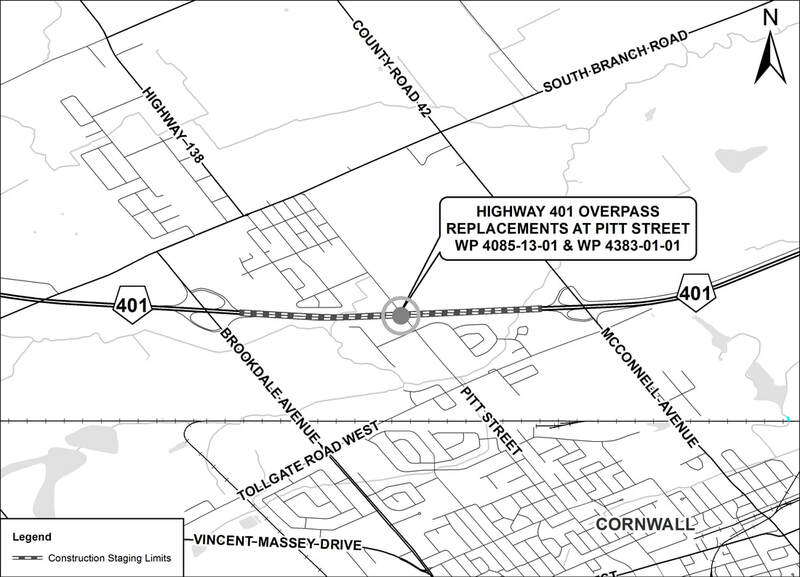 During construction, one lane of traffic is proposed to remain open in each direction at all times on Highway 401. Short-term closures, as well as detours for truck traffic, will also be required on Pitt Street. The overpass replacements are following the approved environmental planning process for Group 'B' undertakings in accordance with the MTO Class Environmental Assessment (Class EA) for Provincial Transportation Facilities (2000). Members of the public were notified of Study Commencement and the online Public Information Centre (PIC) through a ‘Notice of Study Commencement / Public Information Centre’ published in the Cornwall Standard Freeholder on August 30. 2017 and Cornwall Express on Wednesday, August 31, 2017. An online Public Information Centre (PIC) is currently being held to provide members of the public, external agencies and other interested stakeholders with the opportunity to review the proposed design, anticipated environmental effects and the mitigation proposed to address potential adverse effects. PIC materials are posted directly on the project website, and are available to download for off-line viewing. Display materials for the online Public Information Centre can be found here. You are encouraged to review the PIC materials and provide any comments or questions to the Project Team via the Contact tab by September 19, 2017. 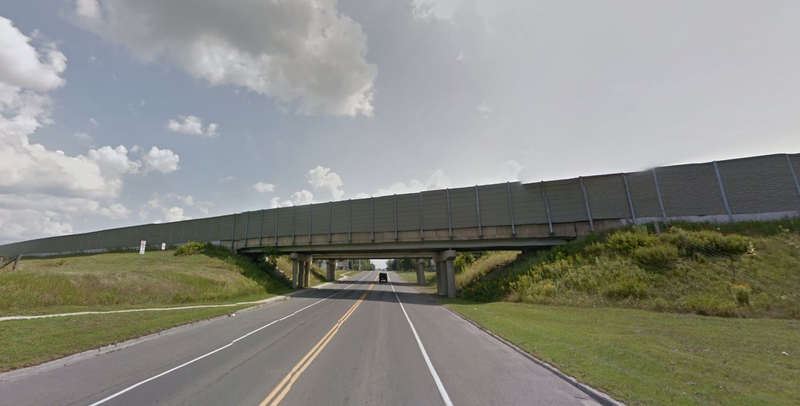 The Ministry of Transportation has completed the Detail Design and Environmental Assessment Study for the Highway 401 overpass replacements at Pitt Street. A Transportation Environmental Study Report (TESR) has been prepared and is filed with the Ministry of Environment and Climate Change for a 30-day public review period from November 8 to December 7, 2017. A Notice of TESR Submission was published in the Cornwall Standard Freeholder and Cornwall Express on November 8, 2017. Interested persons are encouraged to review the TESR document and provide comments by December 7, 2017. You can review the TESR document here. ​If you have any accessibility requirements in order to participate in this project please contact one of the Project Team members listed above.